Our open layouts feature unique architecture and historic charm. The Lofts at 160 Apartments is one of downtown Nashville’s most unique residential communities. Our Nashville apartments are settled between the scenic Cumberland River and vibrant Second Avenue, the Lofts at 160 is walking distance from downtown businesses, restaurants and sports and entertainment venues. Our beautiful Nashville apartments are inside a 19th-century converted warehouse for a one-of-a-kind living experience. Residents can enjoy historically significant architectural features such as exposed original beams and brick walls, incorporated into a modern, urban design. Each loft-style apartment opens onto a two-story, open-air courtyard, perfect for visiting with neighbors and taking in the views. Experience downtown living at its best in the Lofts at 160.  The Lofts at 160 gorgeous amenities and prime location cannot be beaten. Come join us at the Lofts at 160 in Nashville, we know you won’t regret it. Our generous community staff at our Nashville apartments are ready and willing to ensure you that your living experience is magnificent and incomparable. Schedule a tour today to explore your new apartment home at the Lofts at 160 in Nashville, TN.